A successful Tombstone Manufacturing Business is a business where the owner and the staff working at the Tombstone Business improve their understanding of what the customer wants and needs. The needs of the customer must always come first. The money will automatically follow. Business people and the staff of the business easily forget that the business exists because of the customer. You are not doing the customer a favour when you sell him/her a Tombstone or Headstone. The customer is doing you a favour by purchasing the Monument or Memorial Stone from your business. Most businesses have the attitude that people must buy the product, pay the money and go away, until they need the product again. If a customer complains, it makes the owner of the business unhappy! What a sorry state of affairs! Complaints are good, it helps the owner to improve the business and services and in the process makes his business more popular and his purse happier. Sadly not everyone understands the concept of excellent service and being different. There are Tombstone Manufacturers, who all sell mostly the same product. 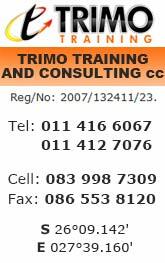 Tombstone Training Course in Randfontein. Excellent service and Tombstones that are different, sets you apart from your opposition, which is what interests a person. Would you like to wear the same shirt as everyone else? People are tired of the same old shape and the same old Tombstones. Tombstone Business Owners who cannot think outside the box soon find that they lose business simply because they do not move with the times. Your business must put the customer first, your activities being solely to solve the problems of the customer. If the customer wants a pink Tombstone, you should be able to manufacture a pink tombstone. If the customer wants a black grave marker with a gold tint, you must be able to make the grave marker. If your customer can tell you exactly what he wants and you can fulfill his needs, you will never not have a customer. The word would spread like wildfire at grassroots. Remember, if customers stop supporting you because you cannot tend to their needs, you have no business. Inferior workmanship when a Tombstone, Memorial or Monument is erected is unforgivable. It most certainly means no more customers from this client, his family, friends or any one that comes into contact with the deceased's family. They will make sure that they tell everybody what happened and along the way, sometimes the story will even pick up a tail. Disastrous! Now, before you envisage people chasing you with brooms, these things can only happen because you or one of your staff members have not personally made sure that the customer is happy with your service and the erection of the Monument. The flip side of the coin is also true. If the customer is happy, you will not be able to pay with money the potential free advertisement gained. People never forget the times when they were emotionally vulnerable, and good deeds and service are always handsomely rewarded. Do not leave anything to chance. It is your duty to make sure that the money spent on the Monument or Memorial, no matter how inexpensive or how expensive, is money well spent. The family of the deceased must feel that the Tombstone and your service should have cost much more. This is when your business starts making a name for itself. Most Tombstones are erected in cemeteries. Cemeteries are divided in sections in which only certain types of Tombstones can be erected. Tombstones are also called Headstones, Monuments or Memorial/Memorial Stones. Some people even call it a Grave Marker or Grave Memorial. A Tombstone that consist of a Headstone only must be positioned on a berm which is the concrete base supplied by the Council for erection of the Headstone. In the landscape section a memorial is restricted to a plaque or memorial slab. There will also be a section where the whole grave can be covered with a Memorial. Cemeteries also house a Garden of Remembrance. This section stores containers called urns or cremation urns with the ashes of the deceased. When a corpse is cremated, in a particular crematorium, or a cremation certificate was issued by another crematorium and it is submitted to the Crematorium Authority, and if permission have been obtained, a memorial may be erected in the crematorium in honour of the deceased. Memorial work which is erected in the Crematorium Garden of Remembrance must comply with Crematorium Regulations. Monuments can be made from any materials as long as the material or ingredients used to construct the Tombstone is approved by the SABS. This makes it possible for a Tombstone manufacturer to develop Tombstones that are different. If your client is willing to pay extra for a Customized Tombstone you should be able to make it. This means that your client must be able to choose a Tombstone Design that is different than the normal Monuments that you make. It means that if the client is willing to pay for his Unique Tombstone, you must be able to make it. We are living in a new age, where being different is accepted and sameness is seen as being boring. There are so many new SABS approved materials that can be used successfully to make sturdy, beautiful and durable Memorials and Headstones. Click Here to View the Tombstone Manufacturing Course Particulars.